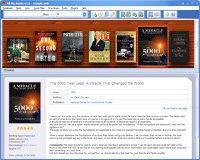 Our Ebook Database Software is probably the best ebook manager for Windows. Just give it a try today. Is the hard drive of your PC clogged up with eBooks and audio books? Have you been desperately trying to organize them but fail? Then you just need to try the first-class ebook database software! Look, this software will help you forget forever the numerous troubles you've got with your ebook library and enjoy your beloved books! It handles all known ebook and audio book formats and allows you start the books right from the program! Isn't that what you'd like to get as a result? The ebook database software makes the whole cataloging process fully automatic and therefore intuitively easy - it doesn't require any efforts of yours whatsoever. Adding ebooks to the library has never been easier! 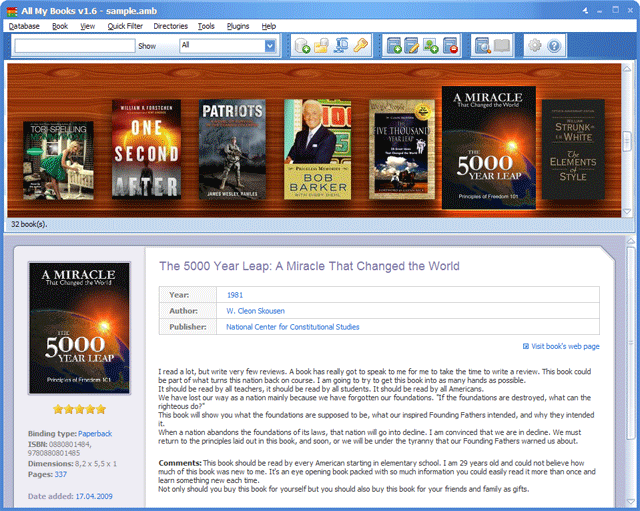 The simplest way is to just to scan the folders of your hard drive and catalog your ebook and audio books. Got a barcode scanner? Great! Just scan your books to add a book to the database. At that all the book info is going to be added to the book card automatically, including author info, cover pictures, genre and other info. 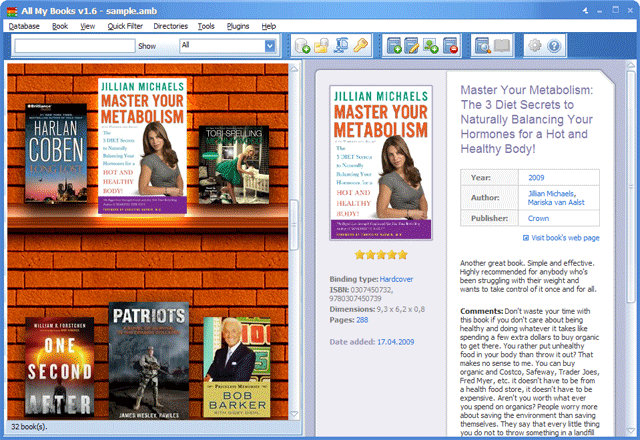 When you added your books into the library, you can organize them in the way you like and customize the program view. 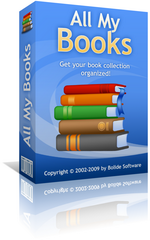 Using this ebook database software you're welcome to sort and group books by author, genre, location, book type, etc, export and import your collection in various formats available. Quick filters are meant to make the whole process just instant! Multi-field search options will help to cope with even a huge book collection! Choose one of the stunning view modes, skins and templates, add your own ratings and personal mark meaningful for you only - so, customize your collection to the maximum! Using ebook database software you always have necessary info at hand. For example, All My Books is famous for its directories which make working with the ebook database even easier! There's Persons directory where you keep all the info about authors and other people related to the books. You can add their photo, biography and other details. You also have Locations directory where all books locations are accumulated and any moment you can see where exactly and which books are located. Friends directory keeps all the details of books lent. This is due to the built in loan manager which carefully keeps track of all your books lent to friends and reminds you when the book is going to be back. 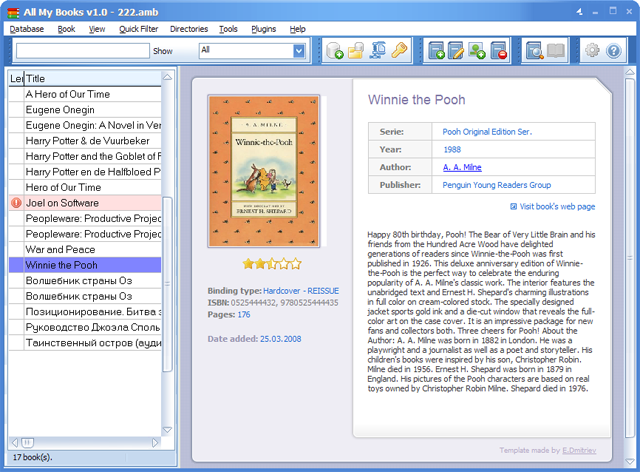 With ebook database you will be able to print book cards and the whole book collection. In All My Books software it's up to you to decide which fields to include in the printed card and which template to choose for that. Besides, any moment you can have a clear picture of which authors, genres, number of books, etc you have due to statistics option. So, get your copy of this great ebook database program right now - it's free to try for 30 days!